By Penelope Green for The New York Times. She is also part of the Femme Den, a kind of in-house collective focused on making sure that conversations about gender are always part of Smart Design’s process, as much as, say, sustainability and ergonomics. From removing the deep V-necks in hospital scrubs to designing a camcorder that functions more intuitively, the Femme Den’s mandate is to both accommodate the needs of women and fight the “shrink it and pink it” reflex that leads to so much dopey design, she said. The changes are subtle and profound: the glass is clearer, the handles are deeper and more biomorphically shaped, and the lines are elegant. Heck, it’s just prettier. 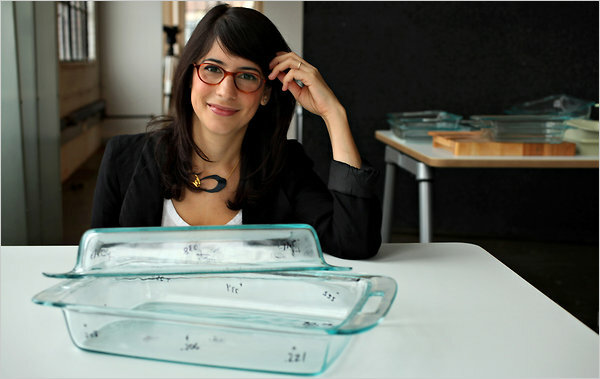 Is a baking dish considered a woman’s product? Our research showed that most of the cooking is being done by women. Also, more than 80 percent of all goods and services are bought by women. But that question didn’t need to be asked. Our goal was to create a new line of baking products based on the way women really cook and eat and live. There’s a need for versatile items that go from cook to serve, but also from prep to cleanup. In the end, we sort of went beyond a utilitarian object that performed well in the oven to create a beautiful object that a home cook could easily imagine cooking and serving in the same dish. Cleanup was also a big part of it. These are easy to hang onto when they’re wet and soapy. Is it the assumption that women still do most of the cleaning? I don’t know if that’s true. I think cooking is being redefined by our generation; cooking keeps reinventing itself. In the ’50s, perfection was the must-have skill for every woman. In the ’80s, it was about outsourcing, using devices like the microwave. Now, a new generation is making dinner because they enjoy that hands-on work. One thing we learned in our research is that women are cooking in two different ways: during the week, it’s all about getting food on the table fast and efficiently; weekend is all about the journey — you’re trying new things, cooking with your family, two attitudes we have to design for. In the past, you’d have two different sets of dishes. Today’s home cooks have one set they really use. What object would you most like to redesign? I would love to redesign the whole fitness experience in the same way we redesigned the scrubs, focused on women, yet inclusive of men. There is a growing need to make fitness more achievable and fun. The core issue is that working out is boring and time-consuming. Solving this issue requires a redesign of the whole experience. We would look at everything from services that inspire and motivate to fitness environments (working out at the gym, at home, in an outdoor public space), to equipment and apparel design. Also, I am not sure that the gym is the first place we would look for opportunity. Maybe there are other, more accessible ways to get fit. C’mon, give me one example. Do you belong to a gym? What irks you about it? Exercise machines are used by both men and women — the instructional diagrams always show a man’s body. 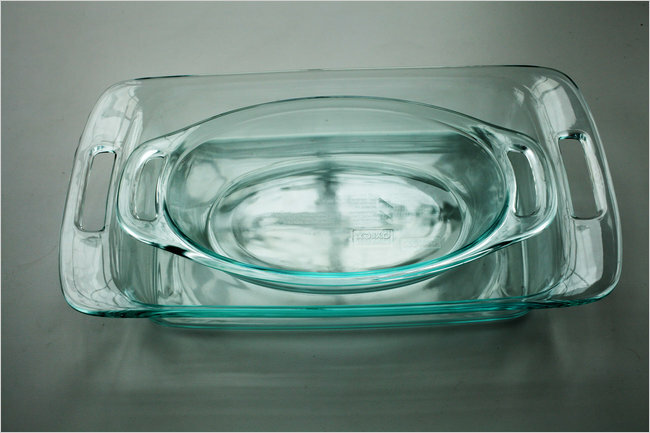 What do most people cook in the most frequently used Pyrex dish (the 9-by-13-inch one)? Lasagna. Cakes and brownies. Roasted meats and vegetables. I’m a weekend chef. I like to experiment. What did I have? I had takeout. I was working late. Originally posted on The New York Times.